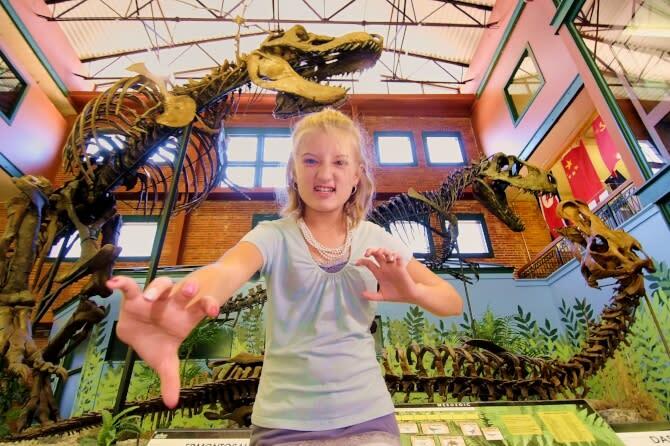 Exploration Place – Hone your science, technology, engineering and math skills at this fully hands-on museum. From building your own creations in the CreatorSpace to piloting your own plane in the museum’s newest permanent exhibit, Design Build Fly, the fun is never-ending at Exploration Place. Great Plains Nature Center – With both indoor and outdoor aspects, be sure to stop by Great Plains Nature Center’s Koch Habitat Hall to learn about animals and plant life native to Kansas. Kids can walk through and feel the furs of many animals or learn about their individual habitats and environments. 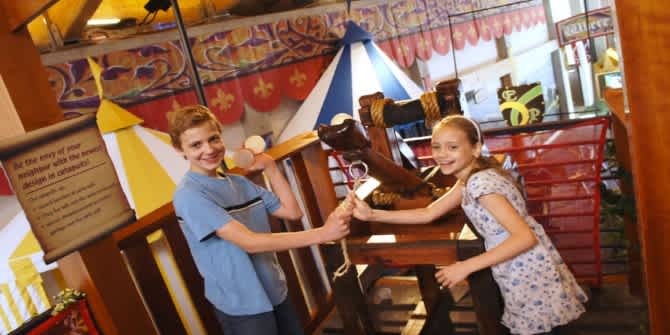 Mid-America All-Indian Center – Learn about the original Wichita settlers and the Native Americans of the Plains at this museum, equipped with both indoor and outdoor features. Museum of World Treasures – See the third-largest Tyrannosaurus rex in the country or trace your family line back to British royalty in this historical museum spanning centuries. You can even see a real piece of the Berlin Wall. Old Cowtown Museum – Become part of the Wild West at Old Cowtown Museum, one of the Museums on the River. Come face-to-face with Wichitans re-enacting the lifestyle of the 1860s-1880s, and enjoy hands-on activities while enjoying an ice-cold sarsaparilla in the local saloon. Wichita Art Museum – It’s a great place to learn to appreciate art, but also has a wonderful spot for kids – The Living Room! This area is where children can create their own projects to grow in their creativity. Being at the center of the United States, it’s interesting to note Wichita is rich in arts and culture. 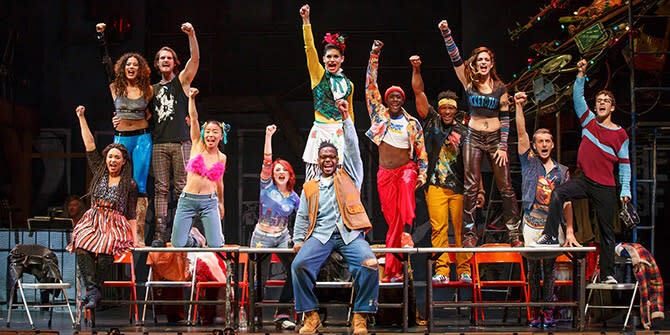 From popular movies to second runs at movie theaters to live performances and entertainment venues, there’s always something happening in Wichita. Wichita Orpheum – This historic theatre has a lot going on these days including the showing of classic movies, live comedy performances and concerts for all ages. Warren Theatres/IMAX – With one of the largest screens in North America, the west Wichita Warren Theatre houses the IMAX theater perfect for 3D movies and an out-of-this-world experience. Palace Theatre (Warren Palace 8) – Showing second-run movies at discounted prices, the Palace in west Wichita offers a way to catch those movies you might have missed the first time they hit the big screen. Century II Performing Arts & Convention Center – Catch a live performance put on by one of Wichita’s many troops, including Theatre League Wichita, Wichita Symphony Orchestra, Wichita Grand Opera and Music Theatre Wichita. Mosley Street Melodrama – The older kids will love the comedic styles of Mosley Street Melodrama, one of Wichita’s two audience-participation theatres. With dinner catered by a local barbecue joint, it’s fun for the whole family. There are some uncensored shows on the schedule, so check the website before getting your tickets. Learn about other live entertainment and music venues here. Wichita is a sports city and is growing into a regional hot spot for both collegiate and professional sports. Root for the home team no matter what your favorite sport is. Wichita State Shockers – Recently ranked No. 3 in the 2017 AP Poll not even midway through the season, Wichita State has become a powerhouse in men’s college basketball. Head to Charles Koch Arena for an exciting season of home games as the team competes in its new conference, the American Athletic Conference. 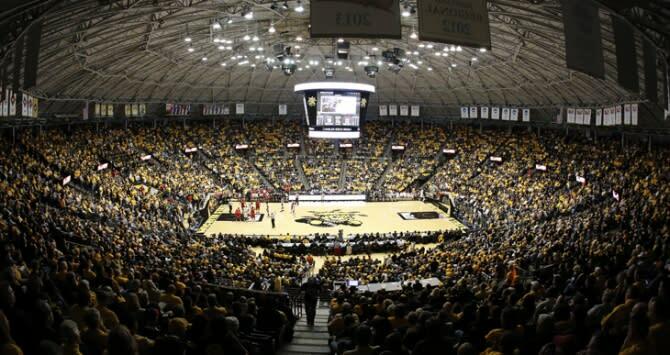 You can also catch the Shockers playing one game a season at INTRUST Bank Arena. The games are typically sold out but you can usually score a ticket through resellers. Wichita Thunder Hockey – Wichita has its own minor league ECHL team, which is an affiliate of both the Edmonton Oilers (NHL) and the Bakersfield Condors (AHL). Catch all the action at INTRUST Bank Arena. Wichita Force – As a member of the Champions Indoor Football League, the Wichita Force brings the intensity of arena football to INTRUST Bank Arena. The team has picked up both a divisional and championship title during its short three years together. You can learn about other professional sports and college sports and their active seasons on their respective pages. For a list of more extreme fun you can experience with your family click here. Be sure to check out the Visit Wichita calendar of events page to see what events are happening in Wichita during your stay.